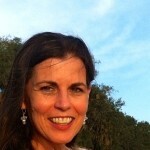 Catherine Carrigan does a medical intuitive reading of James Comey, former head of the FBI. She works with clients in Sydney, throughout Australia and globally. She is the author of two best-selling books, Healing Depression: A Holistic Guide (New York: Marlowe and Co., 1997) and What Is Healing? 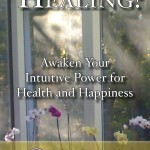 Awaken Your Intuitive Power for Health and Happiness (Atlanta: Total Fitness, 2013), which went to No. 1 on Amazon in two categories, medicine and psychology and alternative medicine reference. Her training includes 21 years experience in kinesiology, Brain Gym, acupressure, flower essences, Reiki master, quantum healing, yoga, qi gong, nutrition, food healing, corrective exercise, natural vision improvement, Touch for Health, metabolic typing, healing metabolism, Thai yoga body therapy, life coaching and money issue clearing.